A long time ago, a little girl had a Christmas so simple most children today could not even imagine. There wasn’t a blow up Santa or Tickle-Me-Elmo; iphone and Twitter didn’t exist. But there was a tiny Christmas tree with an even tinier Nativity scene carved from wood. The tree was carefully decorated with simple white ornaments, pine cones and tiny bells. The little girl thought she had the prettiest tree. It didn’t matter that there wasn’t a pink bicycle or a beautiful doll underneath it on Christmas Day. All that mattered was the tiny Christmas tree. Santa did come that year and brought goodies like nuts, oranges and little chocolates, all inside tiny burlap sacks. Joy was in the house, followed by laughter and songs. “Can Christmas get any better?” thought the little girl. Surely, not. Here’s how you can make a simple white wreath. Spray paint the wreath white. Dry and spray paint a few leaves. 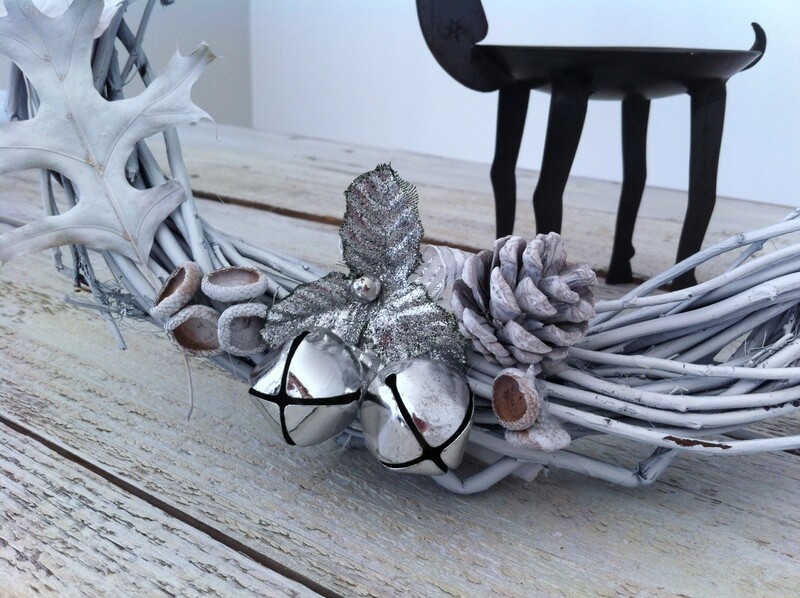 Spray paint acorns, pine cones or whatever else you like and hot glue everything to the wreath. I also added some silver bells. 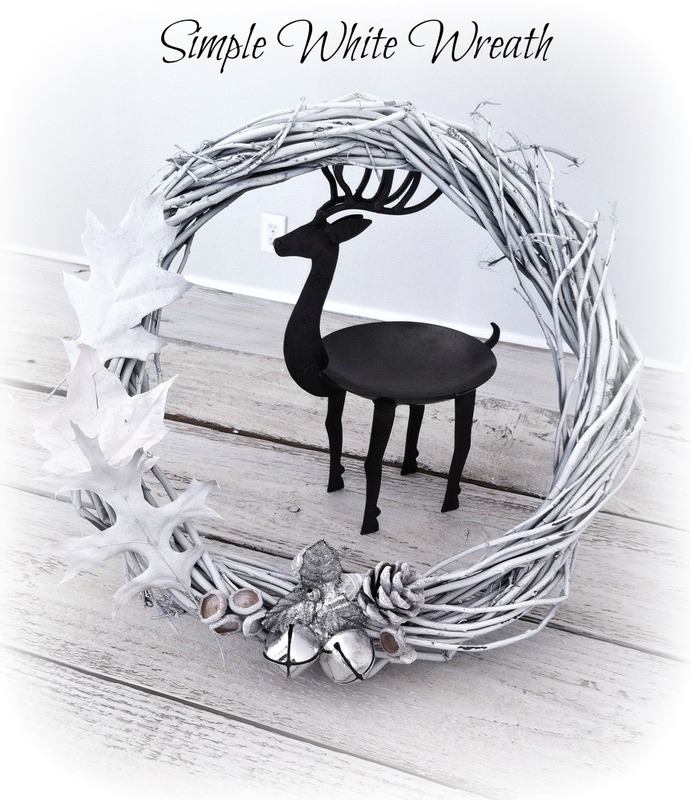 Enjoy the season and this simple white wreath. Love to Shop? These Companies Inspire, Empower, and Give Back! Thanks! Good idea about the sparkles. Thanks for the sweet comment and for stopping by!